Capozzi's latest book will inspire you to evolve, lead and serve in order to take your business to the next level. Growing Your Business Starts With The Right Mindset! The wealth management industry is about to face its most significant changes in history; are you prepared to use the speed of change to your advantage? Do you currently practice the four most important characteristics needed to grow AUM? 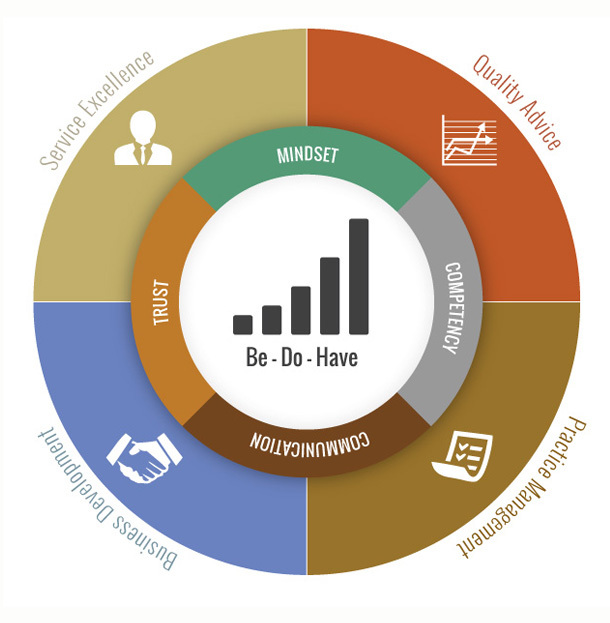 Do you know what HNW clients value most from an advisor? Learn how to significantly improve client loyalty, increase introductions, and more! Unlike other consulting and training organizations, we get paid when we deliver measurable results. Our approach, strategies and tactics have proven to be successful in the wealth management business. Rick’s performance for turning around sales organization and achieving record-breaking asset and revenue targets speaks for itself. UBS — Financial Advisor and one of the top Branch Managers in the country with over $5 billion in assets. Wells Fargo — Managing Director, Regional President. Led the Region from 8th place out of 10 to 1st in the country with over $30 billion in assets. Merrill Lynch — Managing Director, Global Head of Business Development. Helped the firm achieve record asset growth of over $75 billion. Morgan Stanley — Managing Director, Regional Director. Led the region from 7th place out of 10 to 1st in the country. National Sales Manager. Sales responsibility for the firm’s national network of 8,000 financial advisors in nearly 500 offices across the U.S.
TD Private Bank — Senior VP, Head of National Sales. Helped build the U.S. wealth sales model and framework to significantly transform the platform and enhance the client experience. Rick’s programs are based on 32 years of experience in the wealth management industry as a successful advisor, manager, regional director and national sales manager for the world’s largest wealth management firms and private banks. Rick has spent thousands of hours on research and years working with elite advisors and managers from around the world to bring you the very best strategies to meet the needs of the high net worth client, grow your business and achieve personal success. "Rick Capozzi has captured the best ideas on helping others achieve sustainable growth personally and professionally. The Growth Mindset will inspire you." Rick Capozzi is a highly regarded industry leader in financial services, author, and former National Sales Manager at Morgan Stanley. Rick’s notable 30-year track record of success spans across several channels, including private banking and trust, wealth management, and Registered Investment Advisor (RIA). Holding senior leadership positions with the world’s largest organizations, including TD Private Bank, Merrill Lynch, Wells Fargo and UBS, Rick’s track record speaks for itself. As Regional President at Wells with over $30 billion in AUM and Regional Director at Morgan Stanley with over $35 billion in AUM, Rick led both regions from nearly last to first in the country by applying his sound principles, proven strategies and actionable tactics. 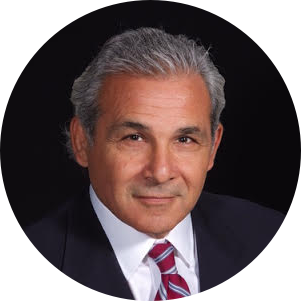 Rick is currently president of Capozzi Advisory Group, LLC, a boutique consulting and training firm. He is quietly opening his playbook to bring real-world experience and deep industry knowledge by offering managers and advisors proven winning strategies and solutions to achieve sustainable growth. 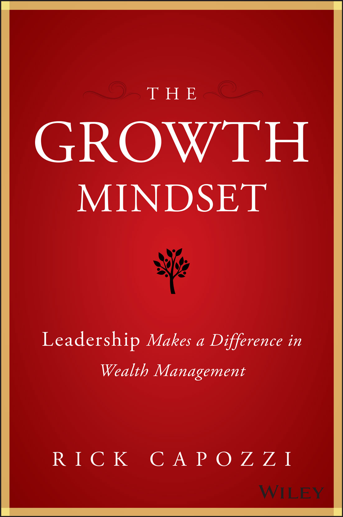 His workshops on leadership and wealth strategies for high net worth clients have helped tens of thousands of financial professionals around the world become more successful in growing their practices. Rick’s life experiences and perspective, which extend beyond financial services, allow him to bring unparalleled passion and fresh insight to all his customized presentations. He is an entrepreneur, adjunct professor, award-winning athlete, accomplished artist, and a lecturer on leadership at universities including Harvard and Fairleigh Dickinson. Rick and his family reside in northern New Jersey. The following are some of the organizations Rick has worked with as a consultant, or presented inspiring keynotes. We are truly fortunate to be in an industry where we have the opportunity to make a significant difference in the lives of others. To meet the needs of the high net worth client, today’s advisors must dedicate themselves to a life of learning. Today’s high net worth clients are more sophisticated, more demanding and expect excellent service with complete transparency. Change is inevitable; growth is a choice. Growth does not happen by chance and is not to be assumed. It is a conscious decision to continually look for ways to improve and develop in order to better serve the client and create peace of mind both for you and the client. There is no such thing as putting the business on autopilot. You are the product, not the investments and services choices. Products and services across the financial services landscape are similar; therefore, the only way to truly differentiate yourself from the other 300,000 advisors is to make you and your team stand out. The best advisors deliver on their promise, build genuine relationships, offer valued advice and provide excellent service. Determine fit, scope and value. Working with decision-makers, we will uncover your key business issues, strengths and challenges, and determine cost. We will provide you with our analysis and recommendations. Key leaders and stakeholders will review our detailed action plan, timeline, steps to completion, people, and expectations. After plan approval, we move to execution, with the ability to adapt the plan as business or market requires. "Rick Capozzi has evolved to become an oasis of knowledge. I highly recommend his book for any successful wealth manager. Build confidence and increase effective communication to attract HNW clients and significantly grow your AUM. Develop the right mindset to achieve success. Your assumptions become your reality. Be-Do-Have. The nine attributes of elite Relationship Managers/Advisors. Create the right client experience and increase referrals. You are the product. How to differentiate yourself in a fiercely competitive marketplace. Learn the secrets of high performance teams. The High Net Worth Investor: Insights and opportunities. Deliver four services that matter most to HNW and avoid the three killer mistakes when discussing investment performance. Leadership makes a difference. The four essential characteristics necessary to achieve sustainable growth for you and your clients. Achieving greater success for you and your clients – The following are excerpts from the 42 page white paper.